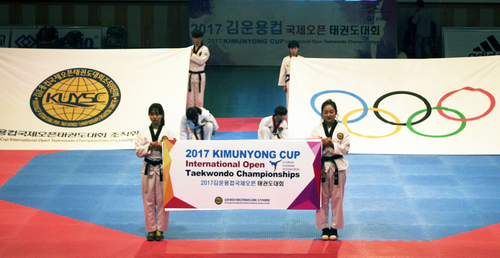 After the rapid growth of Taekwondo, China designated Taekwondo as required subject in some elementary school, middle school, high school, and university several years ago. In 2017, Chinse Ministry of Education designated Taekwondo as required subject in entrance exam for some of the high schools in China. 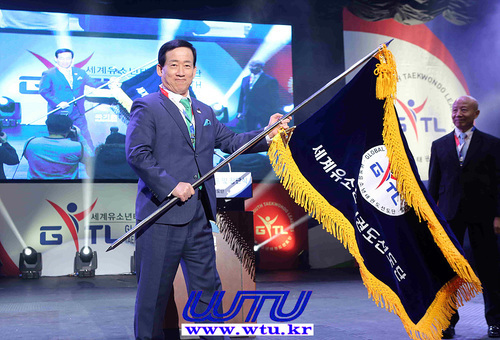 Also, Taekwondo is adopted as one of the mandatory sports course to take in entering and graduating university. 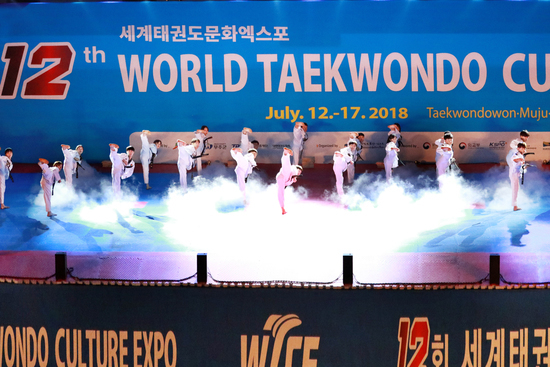 The Chinse Ministry of Education emphasizes “Body reinforcement, endurance, manner, stability, low cost, and popularity” as the strengths of Taekwondo. According to national Chinse media, New China News Agency, about 100 scholars and experts from all over the China gathered in Peking University in January 22 and held lecture about systematic sports technique standard. The research on sports standard covered 18 sports including soccer, basketball, volleyball, table tennis, and swimming. 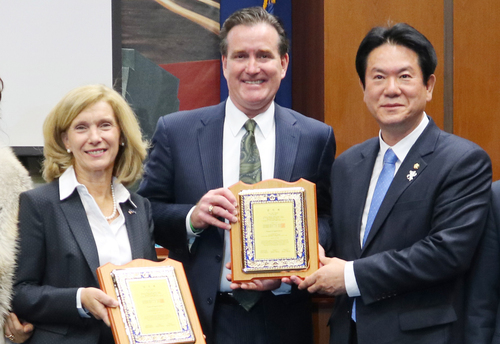 The director of sports standard research said that “We started the systematic research on sports standard as most students cannot learn exercise and train their physical strength throughout years of physical education courses from elementary school to high school”. 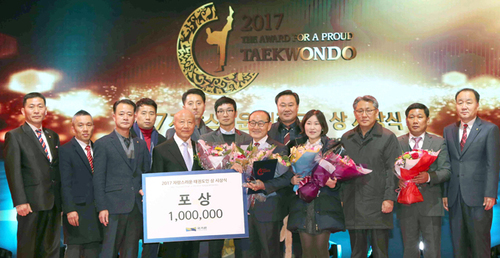 Although history of Taekwondo is relatively short compared to other countries, China won the gold medal at Taekwondo in 2000 Sydney Olympics and China is showing outstanding performance close to Korea which is the birthplace of Taekwondo. 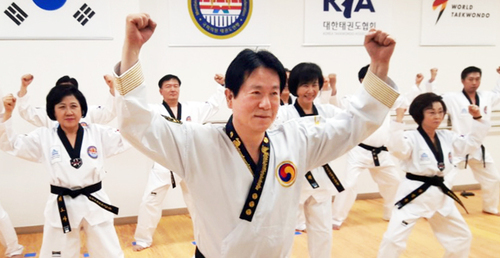 Especially, about 150~200 Korean instructors expanded to China to promote Taekwondo, expand base as life sports, and spread value of Taekwondo. 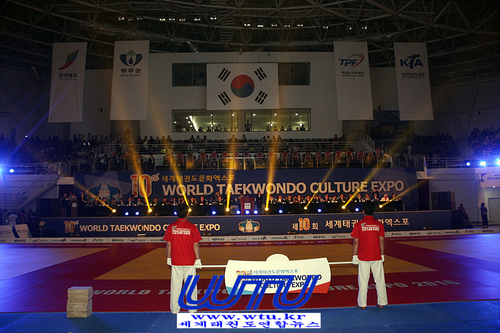 Currently, there are about 50,000 Taekwondo instructors and about 50,000,000 Taekwondo trainees in China. 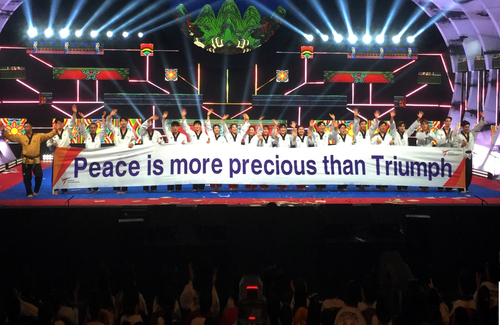 빠른 시간내에 태권도 강국으로 부상한 중국은 수년전부터 일부 초, 중, 고등학교와 대학교에서 태권도를 필수과목으로 지정하여 가르치고 있다. 이에 2017년부터 중국 교육부는 일부 고등학교 입학시험에 태권도를 필수 과목으로 지정하고 대학교 입학과 졸업시 반드시 이수해야하는 생활체육 과목 중 하나로 채택하고 있다. 중국 교육부가 명시하는 태권도의 장점은 ‘신체 강화, 인내심, 예절존중, 안정성, 저비용, 대중적 인기도’ 등이다. 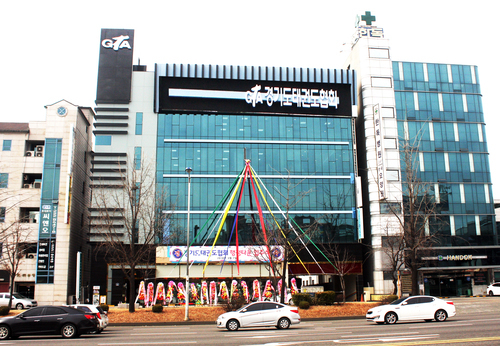 중국 국영통신사 신화통신에 따르면 지난 1월 22일 중국 전역에서 100여명의 학자와 전문가들이 베이징대학에 모여 학생들을 위한 체계적인 스포츠 기술 표준 연구에 관한 강습회를 진행했다. 이 표준연구엔 태권도를 포함한 축구, 농구, 배구, 탁구, 수영, 체조 등 18개 스포츠 종목이 망라되어있다. 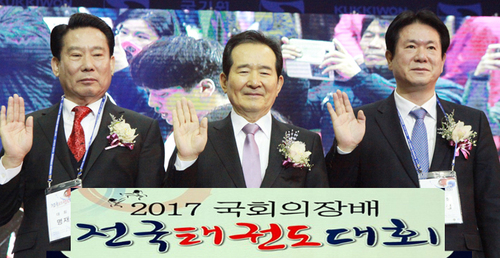 표준연구 총책임자에 의하면 ‘대부분의 학생들이 초등학교부터 대학교까지 십몇년간의 학교 체육 수업을 통해 제대로된 운동 학습과 스스로 체력을 단련하는 습관을 갖지 못해 체계적인 연구를 진행하게 되었다’고 밝혔다. 한편 중국의 태권도진출 역사는 해외 다른나라에 비해 짧은 역사이지만 최초의2000년 시드니 올림픽 태권도종목에서 금메달을 차지하는등 현재의 경기태권도는 종주국과 우열을 가리기 어려울 정도로 특출한 기량을 보이고 있으며 특히 150여명 이상의 종주국 지도자들이 진출하여 스포츠로서 뿐아니라 생활체육으로서도 저변확대와 더불어 태권도의 가치를 크게 전파하고 있다. 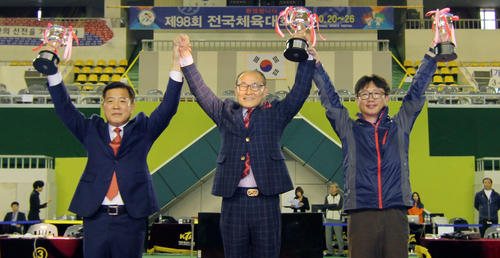 현재 중국의 태권도 지도자 5만 여명과 수련인구는 5천만명으로 집계되고 있다.